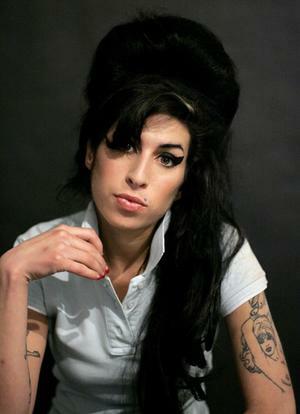 The death of the talented singer Amy Winehouse is no doubt, a tragedy. Living on the thresholds of addiction, the 27 year old's passing came as no surprise. In fact, many wonder how she managed to live that long. The tragedy lies, not only in her assumed, eminent, young death, but in her personal battles that underscored her music, and the loss of an overall talented woman with a signature style. When I first heard Amy Winehouse's voice, singing on the radio, I assumed the deep and soulful voice came from a different era and I pictured a Nina Simone or Etta James to be the body behind the voice. To my surprise, the immense voice came from a petite girl whose hair probably weighed more than her body. 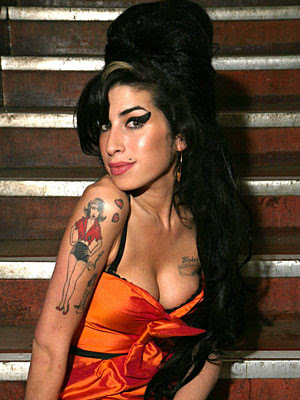 Amy Winehouse transcended the sounds of today, channeling 1960's jazz with a signature style she owned. Her clothing and styling emulated rockabilly, punk, and vintage 60's styles with her amazing Beehive hairdo, winged eyeliner, tattoos, and clothing choices. 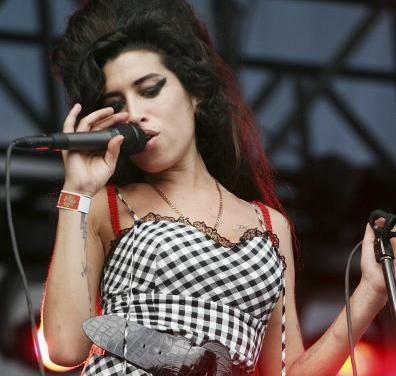 While she was extremely thin and waif-like, her voice and style were not and she achieved big, bold statements in her sounds, hair, and fashion. 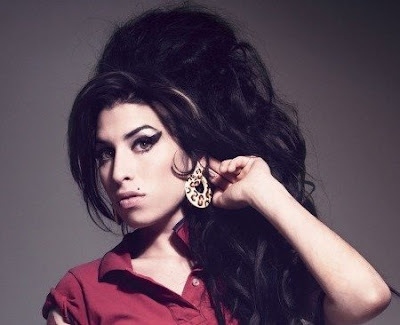 Below is my personal favorite Amy Winehouse song "Back to Black"
"I died a hundred times"
While Amy was very talented, her career was also controversial. Her addiction and reputation for partying landed her in tabloids, looking..let's say, not her best. Known best for her song "Rehab" in which she sings about saying No to rehab sends a questionable message. 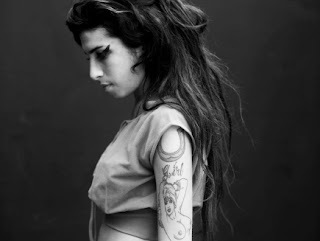 Being only 27, I wonder what Amy Winehouse's life could have continued to be had she conquered her addictions. While the cause of her death is still in question, her health for her age was poor and compromised by her drugs and alcohol, and an overall unhealthy lifestyle. While I am no expert on the matter, it saddens me when substance abuse swallows a person, tipping the scale from being once recreational, to a means of survival, which in turn becomes a means to an end. I believe addiction is a symptom of an underlying problem within a person. While it can be an easily accessible coping skill for a deeply rooted issue, or something initially used socially, the end result is complicated and is hardly solved by a short time of sobriety. In the case of Amy Winehouse, I am in no place to make speculations about the origin of her addiction, but it makes me wonder what along the way, caused this battle to be lost?